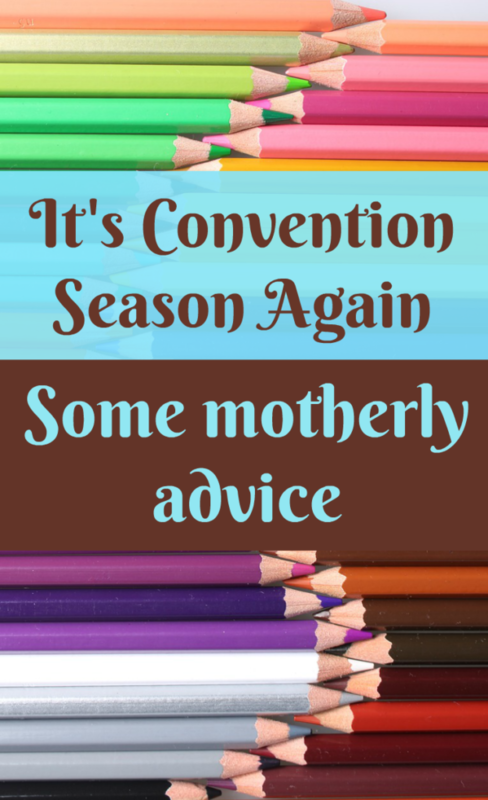 It’s Convention Season – Some Motherly Advice? It is Convention season again and time for me to pass on a little motherly, old sage advice. Conventions are a wonderful time away for renewal and refreshment. Often you come away with a strong sense of purpose and renewed appreciation of all the options and freedoms you have in this country. Often you come away with all kinds of curriculum you never thought you needed. Salesman are really good at their job, that’s why they have them and why they send them to conventions. No doubt about it, new things are wonderful! Someone created something you have dreamed about as the healer of all the problems, the resolver of differences, the stopper of tears, the be all end all. Well, hopefully, whatever you purchase meets those expectations. If not, don’t be too disappointed. One thing will not work for every child. Every child is unique, your family is unique, your situation is unique, your homeschool is unique. Embrace it and press onward. You may need to tweak the curriculum a little to fit your needs. Or, you may need to replace it. Chalk it up to taking a chance and move on without regret. I will share with you the best advice I ever received. 1.Go to Convention with friends or acquaintances that will become friends. 3. Have a “show and tell” at dinner over a glass of wine or coffee. That way, everyone hears all the news, the pitches and gets to feel like they really learned a lot by being there. Convention can be a really wonderful bonding time. We as home school families are perpetual learners, always searching for optimum things for our families. Every attending is there because they love their children and they love the learning process. Have fun, be careful, pray over choices before making an impulse purchase and enjoy the camaraderie of like minded people.